General Dynamics C4 Systems develops communication products, integrating them into secure networks that deliver vital information for military, homeland security and public safety professionals. The company was chosen by the U.S. Army as the prime contractor and systems integrator for upgrades to the Prophet tactical signals intelligence program. General Dynamics is headquartered in Falls Church, Virginia. Prophet is the U.S. Army’s top SIGINT program that enables tactical commanders to securely and accurately detect, identify, locate and deter a wide range of signal emissions on the battlefield. 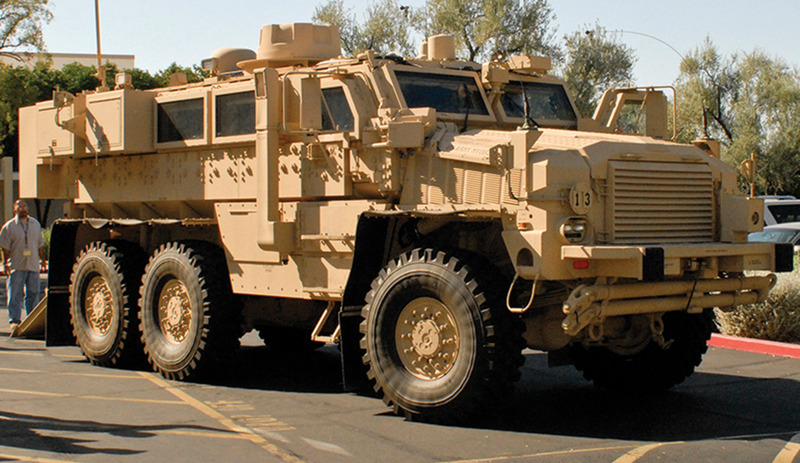 The system is comprised of electronic components that are vehicle-mounted or soldier-transportable. Prophet’s mission requires an evolving technological platform that can be adapted to changing battlefield situations and transportation needs. Project leadership sought proven technology and dependable device management to be able to respond quickly as program elements change. General Dynamics C4 Systems chose Crystal Group’s RS112 1U for upgrade projects based on past performance and reliability of the company’s rugged servers. Crystal Group’s responsiveness, fast turnaround time, and extensive configuration management were also important determining factors. Prophet provides the tactical commander with an enhanced capability for electronic intelligence preparation of the battlefield, battlespace visualization, target development and force protection. Crystal Group’s RS112 1U rugged served located inside Prophet vehicles provides data analysis and other tasks in a battlefield environment. Information on the battlefield changes rapidly. A key element in the U.S. Army’s combat zone mission is to provide field commanders with the ability to disrupt enemy operations, protect friendly forces while operating under an information assurity protocol. The Prophet system is specially designed to meet these mission challenges with a near-real-time picture of the battlespace through the use of signal intelligence sensors and high performance computing. General Dynamics C4 Systems serves as the prime contractor and system integrator to upgrade the Prophet tactical signals intelligence systems. Upgrade components for Prophet require smaller, lighter weight and less power-hungry battle hardened servers to provide integrated electronic attack capability and the ability to process quickly changing communications data. The requirements also meant making the system compatible with a new fleet of battle area vehicles as well as mobile man-carried units. Crystal Group’s RS112 1U rugged server was selected for the program and upgrade stages (Spiral 1 and Prophet Enhanced – POR-A, POR-B) for its superior ruggedness, configuration management capability, compute density dependability and the company’s customer responsiveness. RS112 1U meets MIL Standard 810’s stringent environmental requirements with a lightweight aluminum chassis in a 20” depth. The unit is designed for Size, Weight, and Power (SWaP)-sensitive mobile, ground, manned or unmanned vehicle applications. The RS112 1U rugged server features one expansion slot, two drive bays and leading edge Intel® Sandy Bridge, or Ivy Bridge CPU options. The system’s modularity allows for easy reconfiguration and versatility. The rugged server is hard mounted in Prophet vehicles or can be packaged in transit boxes that allow for quick installs. The RS112 1U rugged server meets MIL STD 810 for shock, vibration, and temperature limits.